All our leaders are qualified as England Athletics Leaders in Running and Fitness and are DBS checked. They also hold a Leader in Athlefit qualification. 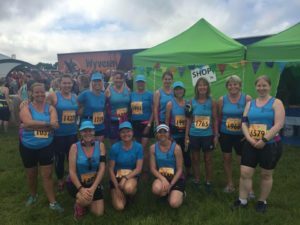 As well as leading each running session, with a range of techniques to help you maximise your running fitness in an enjoyable way, the leaders have a wealth of race experience ranging from 5k’s at weekly parkruns to marathons and Ironman competitions. Please ask any of the leaders if you require any specific advice about your training.